Watch the Sundance Institute interview with director Alexandria Bombach. Thank you to our community partner Beyond Genocide Campaign. 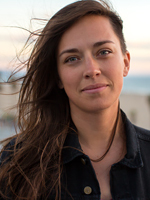 Alexandria Bombach is an award-winning cinematographer, editor, and director from Santa Fe, New Mexico. Her feature-length documentary On Her Shoulders premiered at the 2018 Sundance Film Festival, where Bombach won Best Directing in the US Documentary competition. 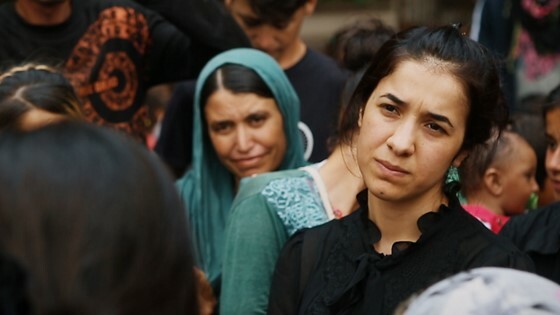 Her first feature-length documentary, Frame By Frame, had its world premiere at SXSW 2015, went on to win more than 30 film festival awards, and screened in front of the president of Afghanistan, Ashraf Ghani. Bombach continued her work in Afghanistan in 2016 directing the Pulitzer Center-supported New York Times Op-Doc, Afghanistan by Choice. In addition to her feature documentary work, Bombach’s production company RED REEL has been producing award-winning, character-driven stories since 2009, including her 2013 film, Common Ground, and her Emmy Award-winning 2012 series, Moveshake.